Recreating the book reviews from my Amazon Reading List on LinkedIn. “Thinking Fast and Slow” is an amazing book by the Nobel Prize winning psychologist, Daniel Kahneman. I have enjoyed many books on the subject of how the brain works, but none has been as clear as this one. 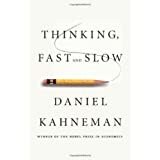 Dr. Kahneman uses the fast and energetic System 1 along with the slow and lazy System 2 to explain how people answer different types of questions. While our brains are powerful and usually successful, we are prone to certain types of errors because of the way our brains work and we are often much less rational (internally consistent) than we would like to think. Like many authors, Dr. Kahneman is occasionally guilty of taking his perspective farther than is merited and portraying the opposing point of view in radical terms, but the book overall is well worth pushing through those points. If you want to be intrigued and entertained while gaining some insight into how people think, read “Blink” by Malcolm Gladwell. If you really just want to understand the brain and the foundations of thought, I highly recommend “Thinking Fast and Slow” by Daniel Kahneman. This entry was posted in LinkedIn/Amazon Reading List, Uncategorized on April 16, 2014 by phil. 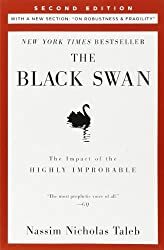 “The Black Swan: The Impact of the Highly Improbable” by Nassim Nicholas Taleb was an intriguing book on an important topic. 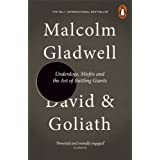 It focuses on the disproportionate impact of rare and unpredictable “outlier” events as well as our tendency to find simplistic explanations. Taleb explains that most of what we read in the news is worthless because the supposedly objective journalists feel compelled to attribute causes where, in fact, they cannot know the cause. He also explains how statistics are often misused to create a false sense of certainty. One funny example is “The Turkey Problem” in which every day he is well fed the turkey becomes more convinced that he will be safe while, in reality, he is another day closer to Thanksgiving. Another key point is that our intuition of problems follows a normal distribution, despite the reality that many types of problems have a “long tail”. Given the significant limits to what we truly can know, I appreciate that Taleb suggests some things we can do to move forward. it takes some thought to apply his “Venture Capitalist Approach”, but it is better than the alternatives (i.e. basing decisions on no data or basing decisions on false assumptions). I didn’t care for the way Taleb mixed fiction with his opinions and statements of fact, though that may appeal to others. Also, I had to get over the author’s arrogance, explaining how much money he had made and how he wasn’t going to bother proving his case. All that said, the book is worth the effort. As a wonderful bit of serendipity, an author I greatly respect, the Nobel Prize winning psychologist Daniel Kahneman, wrote “The Black Swan changed my view of how the world works.” That is a big endorsement. This entry was posted in LinkedIn/Amazon Reading List, Uncategorized on March 16, 2014 by phil. “Re-Imagine! 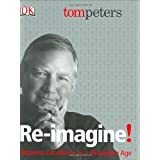 Business Excellence in a Disruptive Age” is not Tom Peters’ best received book. The print edition was heavily criticized for the unusual formatting and use of icons, so I suppose I am glad that I listened to the audio edition. Some feel the book rehashed his earlier ideas, though I can’t comment on that except to say that I thought it was solid. Peters is true to his passionate and sometimes conversational style. No fan of improving quality in the old (think Six Sigma) he is all about innovating to create something new – new markets, new demographics, new talent, and a new educational system. This entry was posted in LinkedIn/Amazon Reading List, Uncategorized on February 16, 2014 by phil. I enjoyed “Imagine: How Creativity Works” by Jonah Lehrer and recommend it based on several important insights. From blue walls to framing a question differently, there are simple tools to encourage creativity. In a couple of sentences Lehrer explained when it is helpful to focus more versus the times that it is more helpful to get away from the problem you are trying to solve. These are critical insights, specific enough to be useful in practice. The importance of cross-functional teams, bringing in a mix of new and familiar team members, and focusing on constructive feedback were all specific and important takeaways. This has excellent parallels to the Agile software development methodology. The “inverted ‘u’ ” of creativity can be avoided if a person makes a diligent effort to branch into new areas, but I was even more excited to consider Lehrer’s point that we know how to create a surplus of great talent. America’s ability to create world class athletes proves it. We have farm teams that begin with little league and a culture that elevates athletes to hero status. Lehrer suggests we take what we learned with football and channel it toward creativity – I would add science, technology, engineering, and math. In other areas, the book could have been better. Lehrer points out that person-to-person interaction increases creativity. I agree, but Lehrer emphasizes the point ad nauseum and ties that closely to the idea that cities inspire creativity. Consider that the entire Greek speaking civilization had a population of 8-10 million in 400 BC when they were shaping the future of western civilization. Today, the state of Georgia in the US and the cities of Dhaka in Bangladesh, Lagos in Nigeria, and Kinshasa in the Democratic Republic of the Congo all have populations roughly equal to the entire Greek civilization, yet I doubt as many world history changing ideas will come from those areas. Lehrer acknowledges other factors are involved but keeps driving the point until his bias for cities becomes distracting from other ways to accelerate creativity. We could significantly improve the level to which local communities interact without having to redesign the entire infrastructure of America. Lehrer relies too much on anecdotes and some of his arguments are circular. At one point he uses venture capital investment as a proxy for innovation and then touts that as proof that the culture of Silicon Valley is superior for creating innovation. Silicon Valley does have a culture promoting innovation, but that is only one kind of innovation. How would Silicon Valley’s place in the ranking change if we added PhD dissertations which, by definition, address a new aspect of a topic? There are amazing mathematical and scientific insights in Russian universities that will not be identified by VCs. I agree with Lehrer that the Internet, even with Skype video calls or Cisco Telepresence, is a poor substitute for face-to-face interaction and the spontaneous interaction that occurs in life; however, the topic deserves more consideration than he gives it. With MIT and other major universities aggressively moving into online education, collaborative innovation via the Internet is changing fast. Also, it was disappointing that Lehrer didn’t focus more on reading as a means of gaining new perspectives – there is a reason that scientific papers begin with a literature review. This is a case where his bias toward the extrovert ideal limits his creativity in identifying approaches for innovation. Another circular argument is the use of popularity, financial success, and popular critics’ opinions as a gauge of creativity. In “The Master Switch: The Rise and Fall of Information Empires”, Tim Wu makes the case that the radio, television, and movie industries have been controlled by monopolistic companies and government agencies to homogenize content, making it “safer” and more mainstream. The book, “The Power of Habit: Why We Do What We Do in Life and Business” by Charles Duhigg describes a computer algorithm that has uncanny success at predicting the success of new songs. Rather than being especially creative with “Finding Nemo”, perhaps Pixar has learned the algorithm for popular, mainstream movies. In life and in business, we need creativity and high performance. In the book “Talent Is Overrated: What Really Separates World-Class Performers from Everybody Else” Geoffrey Colvin explains what is needed for world-class performance. The amazing ability of Tiger Woods and Michael Phelps is much better explained by tremendous hard work and focus from an early age than it is on getting new ideas from other people. Jonah Lehrer shares important insights in “Imagine: How Creativity Works,” though it only addresses one aspect of creating a successful, high-performance organization and is burdened with a few of the author’s biases. This entry was posted in LinkedIn/Amazon Reading List, Uncategorized on July 1, 2012 by phil. “In The Plex: How Google Thinks, Works, and Shapes Our Lives” by Steven Levy provides interesting insight into the thinking and culture that drive Google. Levy comes across as a fan, yet reasonably open minded and willing to point out Google’s mistakes – think China. I didn’t need quite as much information as Levy shared, but I enjoyed the book and came away with a few insights. Levy repeatedly talks about the stunning intelligence, incredible technical skill, and passion of the people at Google and, frankly, I believe him; however, that leaves me a bit baffled. Given all that brain power, how can it be that some Google products are remarkably mediocre. Google Apps on an iPad is the first example that comes to mind. The recently launched Google Drive is another. Google Buzz could go without saying. Of course, other Google products are astounding. It was fascinating to see the balance Google achieved in being driven and focused by the unifying force of the founders’ vision while also providing an environment in which people can spend time on whatever they think is most important. It is also interesting to hear specific examples of making decisions based on data. Thinking through these examples would be helpful to a broad range of organizations. Levy is convinced that Larry Page and Sergey Brin’s Montessori education shaped Google’s culture of letting people focus on what interests them. He also suggests it is responsible for many of their great products and achievements. I will have to consider to what extent I believe that is true for Google and to what extent that could be leveraged at other companies. In “What Is Strategy” Michael Porter makes the point that strategy cannot easily be copied because it must be integrated with many aspects of business and the business model. For example, Porter says Delta can’t just decide to follow Southwest Airlines’ low price strategy without considering impacts to other aspects of their business and customer service model. Could Walmart use a Google-like culture? Could they use it in all areas of their operation? If they used it only in some areas, such as merchandising, would that create other problems? Overall, “In the Plex” is a good book and worth reading for anyone interested in Google or seeing one way that a “web generation” corporate culture can work. “The Power of Habit: Why We Do What We Do in Life and Business” by Charles Duhigg is a wonderful blend of business, science, and personal improvement. The three major sections of the book cover the habits of individuals, organizations, and societies. The first section was the most clear and actionable. Understanding the habit loop provides a framework to see how we slip into habits and how those habits can be disrupted or replaced. Surrounded by the Internet, TV, and radio 24×7, understanding how our habits are created and exploited is important for the consumer. Likewise, understanding the power and issues of building our products into customer habits has become critical to Corporate Marketing. For me, this also reinforced the critical partnership between Marketing and IT. The second section had a great discussion of Tony Dungee’s focus on training football players with new habits and to focus on perfect execution of habits rather than improvising. These lessons could be relevant to IT leaders as they implement new methodologies – whether ITIL for operations or Agile for development. After that, the book got a bit fuzzy. The fact that there are keystone habits which open an organization to more significant change is reasonable, but there are no hints for identifying keystone habits. For example, it is not intuitive how, as the new CEO of Alcoa, Paul O’Neill was able to identify safety as a keystone topic. I suppose recognition of the problem is the first step to improvement, but I would like to have heard Duhigg’s advice on how to take the next step. The third section had interesting general ideas, but again, it is not clear what we do with the information about habits of societies. I also found the discussion of a woman struggling with a habit of gambling to be a bit tedious. Perhaps most important, Duhigg convinced me that habits are central to life (and business) and that habits can be changed. For that alone it would be worth reading. Talent is Overrated dispels the myth that some people are born with natural talent for things like playing piano or playing chess. The reality is that years of deliberate practice are required for best-in-the-world performance. Overall, this is a good book and I largely agree with Geoffrey Colvin’s major points. Colvin does a solid job of justifying his position, explaining deliberate practice, and giving a few examples outside of sports and music. He also makes an interesting point that there is an ever increasing expectation of performance that makes understanding talent critical. As for opportunities to improve, Colvin spends too much time talking about studies having found no gene for playing piano. Of course they haven’t. There may be a combination of genes impacting fine motor skills, hearing, and timing that allow a person to play piano better, but it doesn’t make sense to discuss a single piano gene or chess gene or a single gene for pretty much any other complex, modern activity. The other callout is that Colvin argues for the need to develop absolute best-in-the-world talent to be competitive in a global economy and only discusses examples of historically great talent. Then, in the closing chapter, he points out that “oh, by the way, many world class performers are kind of weird and have given up the rest of their life for their achievement.” So we better train ourselves and our kids to be the very best in the world, but we have to sacrifice having a life to do it. I understand why Colvin focuses on the historic examples of the best talent in the world – those are the people that others say must be born with a natural gift and it makes it easier for Colvin to make the case for deliberate practice. That said, most organizations are not interested in developing an entire employee base of absolute best-in-the-world performers and most employees are not interested in sacrificing their lives and, frankly, haven’t been positioned from a young enough age to reach that level. Helping people to understand what it takes to be in the top 10% of global talent might be more realistic and useful. A final comment is that more work is needed on applying deliberate practice to skills used in the business world. Colvin gives some examples and pushes hard for the use of coaches, but more is needed to turn these ideas into action for most of what most people do at work. Of course, a final comment is that in the dynamic and unstructured “real world” it may be difficult to prove that one person is really better than another – rather than just being lucky – and therefore hard to know how to achieve that. Read “The Drunkard’s Walk” by Leonard Mlodinow for more on that. This entry was posted in LinkedIn/Amazon Reading List, Uncategorized on April 9, 2012 by phil. Outstanding book for both introverts and extroverts that gives insights as to how we can create more powerful teams by understanding the strengths and weaknesses of all the members. This entry was posted in LinkedIn/Amazon Reading List, Uncategorized on March 29, 2012 by phil. The book does a good job of demonstrating how these effects can be masked by excuses such as not hurting teammates’ feelings. I personally found the parable style a little tedious, but many others say it is easy to read. It is definitely worth the effort. This entry was posted in LinkedIn/Amazon Reading List, Uncategorized on March 5, 2012 by phil.